Continually evolving solutions are designed to drive digital expectations into the next generation of production printing. 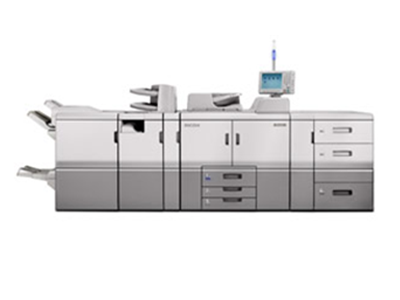 That’s why you’ll find Ricoh Pro 8100S mono production printer offers exceptional reliability along with outstanding image quality and paper handling. It results in greater productivity and opens up new opportunities for revenue – just what you need in this highly competitive environment.